Leave your cruise ship behind at the Kotor port and take a day trip with a private driver to discover Montenegro. A hassle-free way to discover the delights of Kotor’s old town as well as Budva and Sveti Stefan, the day trip includes round-trip transport direct from the port plus ample free time to enjoy the stops through the day. Our driver and guide was excellent! We didn't know what to expect of this port but we were pleasantly surprised-it was one of our favourite stops. The views were breathtaking. 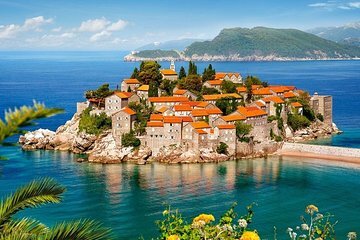 Budva beaches looked great, Sv Stefan was nice to see from above, old town was charming. Hope to return one day!